Our dry roasted macadamia nuts covered in creamy Guittard milk chocolate. Flavored macadamia nuts. 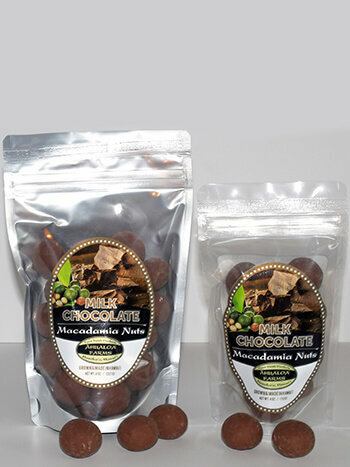 Give our chocolate covered macadamia nuts a taste today. (Chocolate may melt a bit during Shipment). Choose from 4oz or 8oz bags.